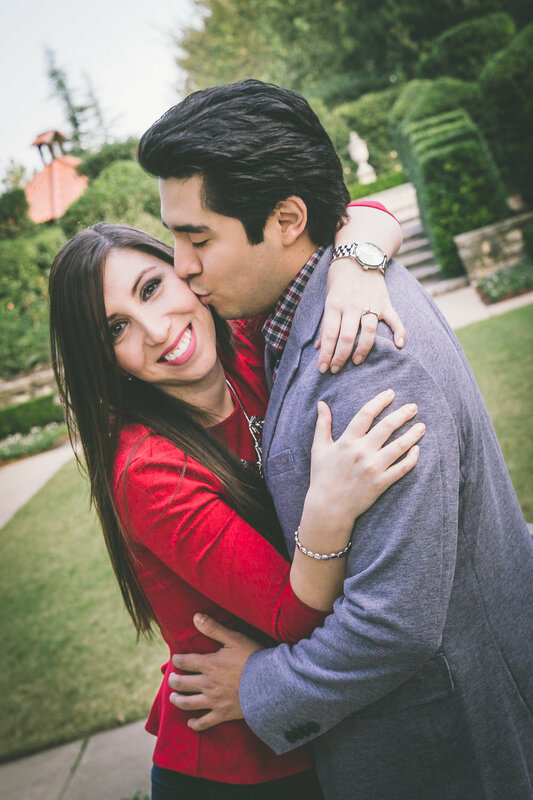 Travis had a great time getting to know Marcela & Daniel during their engagement shoot at the Dallas Arboretum. 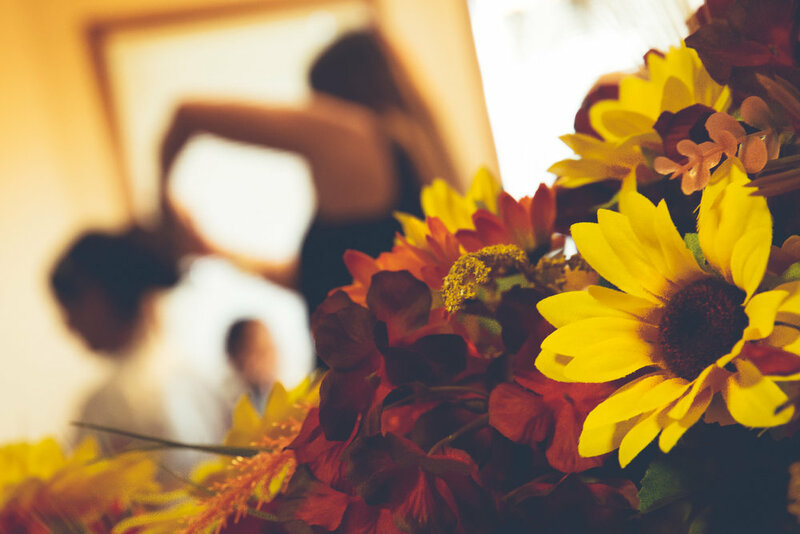 This is a popular location for fall because you still can have some gorgeous flowers and take advantage of the cooler weather. 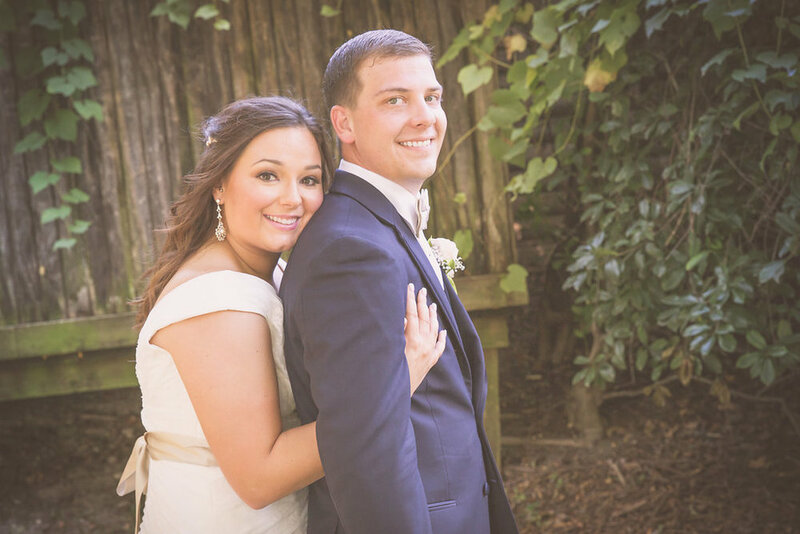 This sweet couple will have a fun destination wedding and we wish them the best! Happy Anniversary to this happy couple! 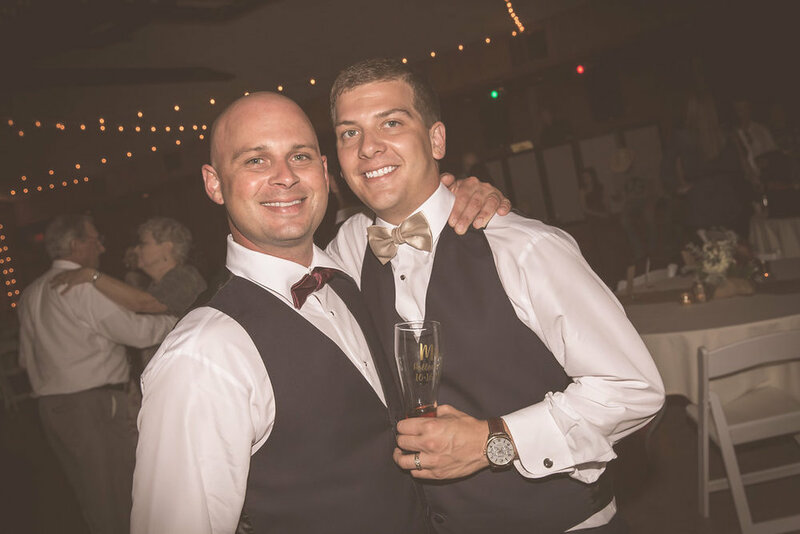 Last fall we had the pleasure of being part of their wedding day. 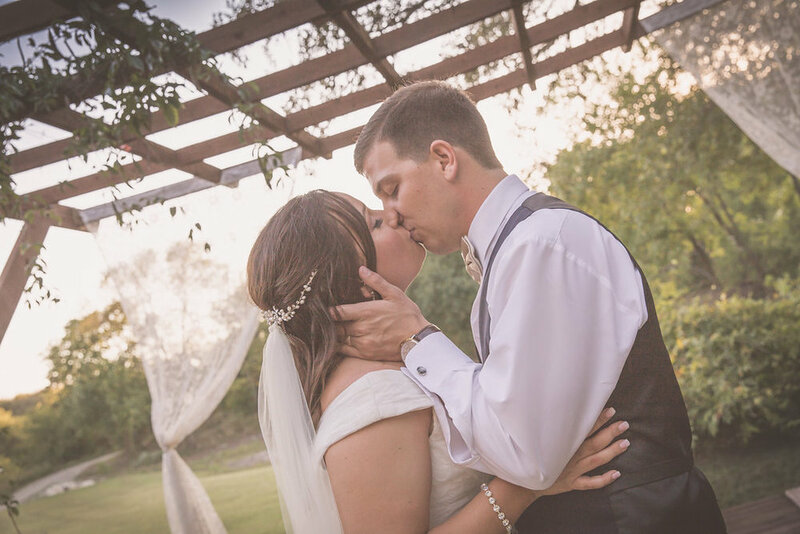 The ceremony and reception took place at Cross Creek Ranch in Parker, TX at the edge of Plano and Allen. 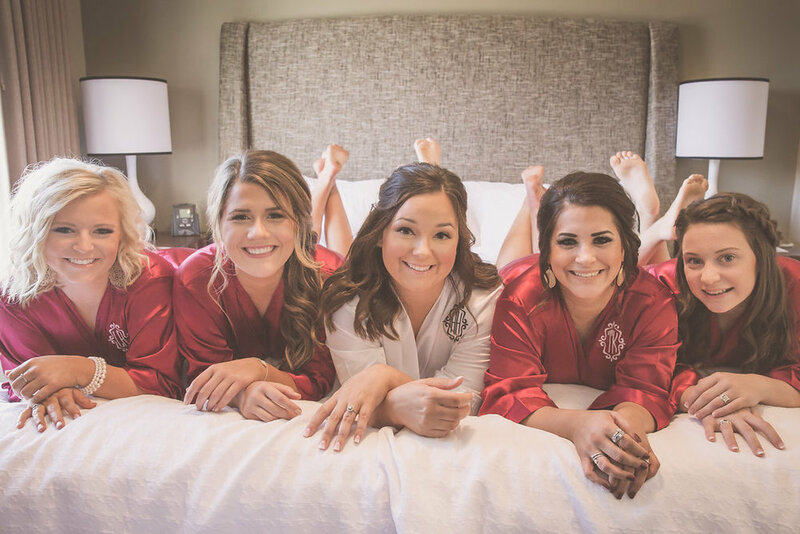 They all got ready and had fun at a nearby hotel, and did any finishing touches getting ready in the suites at the venue. The outdoor ceremony went perfectly as planned and their little boy won over the guest in his custom-made ring bearer wagon. 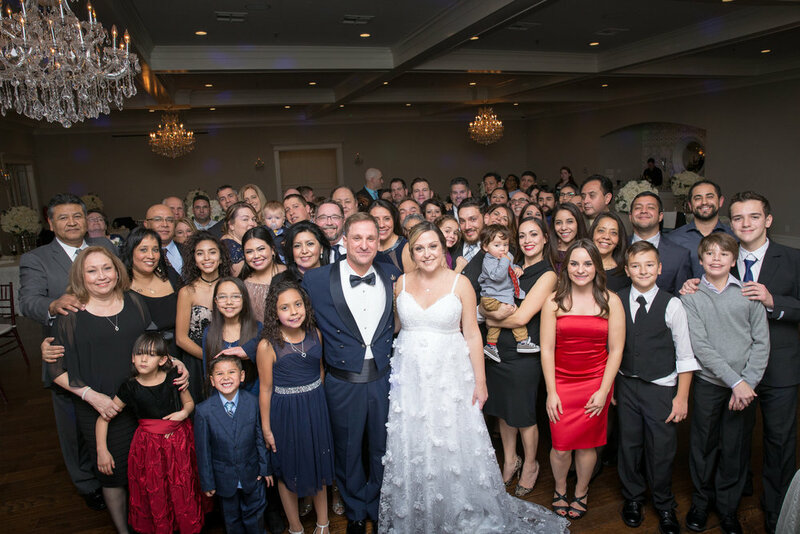 After the ceremony, we grabbed some family, bridal party, and pictures of the bride and groom. Being fall you would expect some cooler weather, but Texas had other plans. The bridal party did a great dance entrance into the reception to kick of the fun. 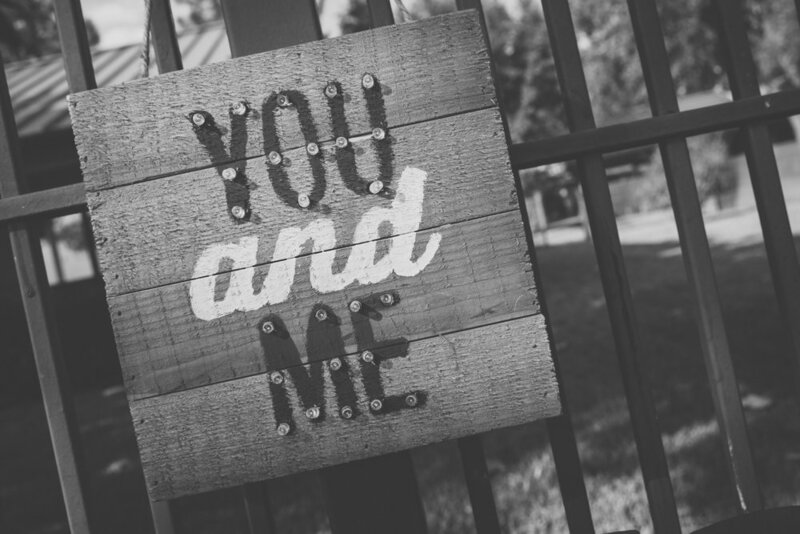 There was plenty of food, dancing, enjoying the company of another, newlywed games, and laughs. Thanks, Alyssa & Jordan again and we wish you the very best. 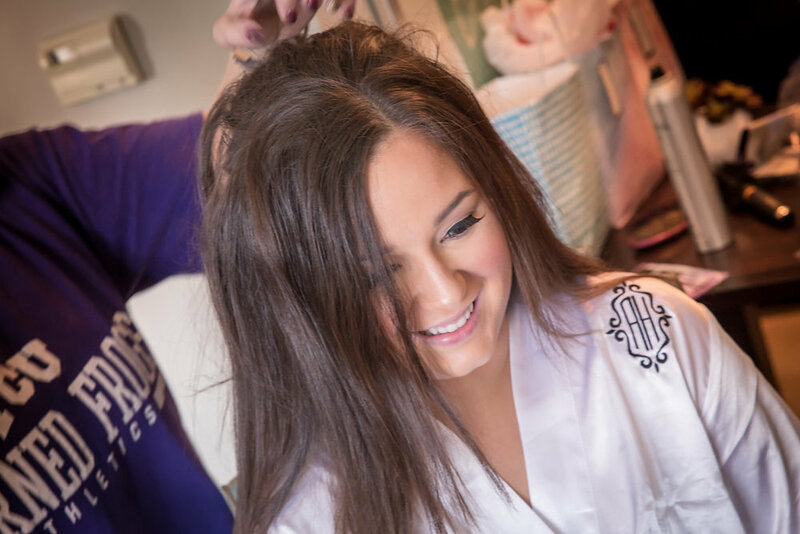 Sherri & Edward's wedding took place at the gorgeous Milestone Mansion in Denton. 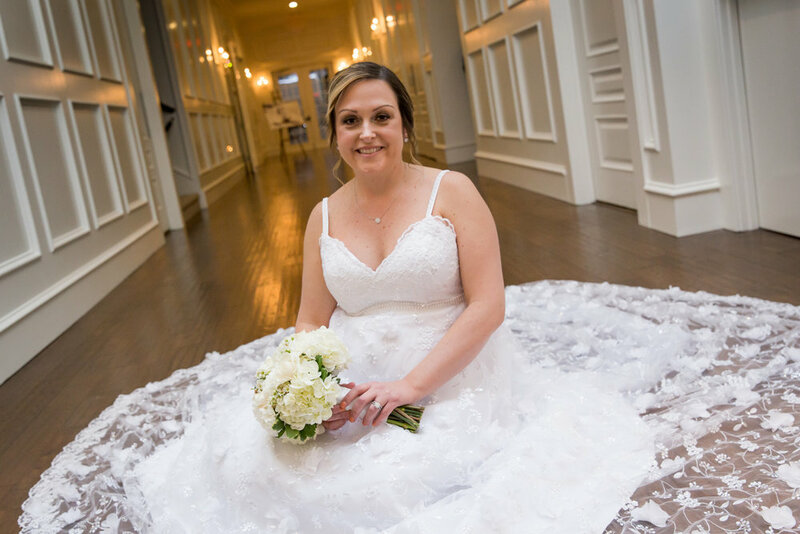 They had tied the knot a year before, but the family wanted to be part of the celebration so a formal wedding was put on the books. Sherri was amazing to work with since our first conversation, and we knew that this wedding was going to go wonderfully. 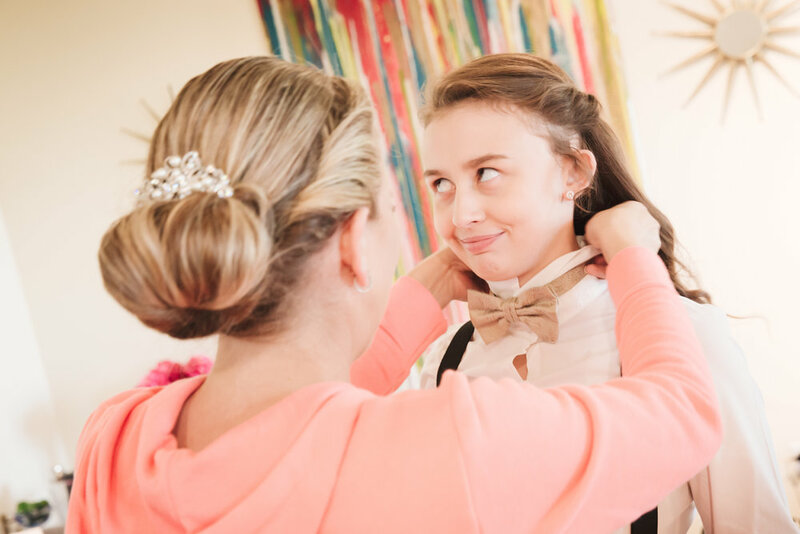 From the time they decided to have a formal wedding to the time the wedding came around Sherri & Edward decided to have a little one to add to the family, adding another reason to have a celebration. The ladies got ready downstairs in the bridal suit, while the gentleman relaxed in the awesome groom's quarters. 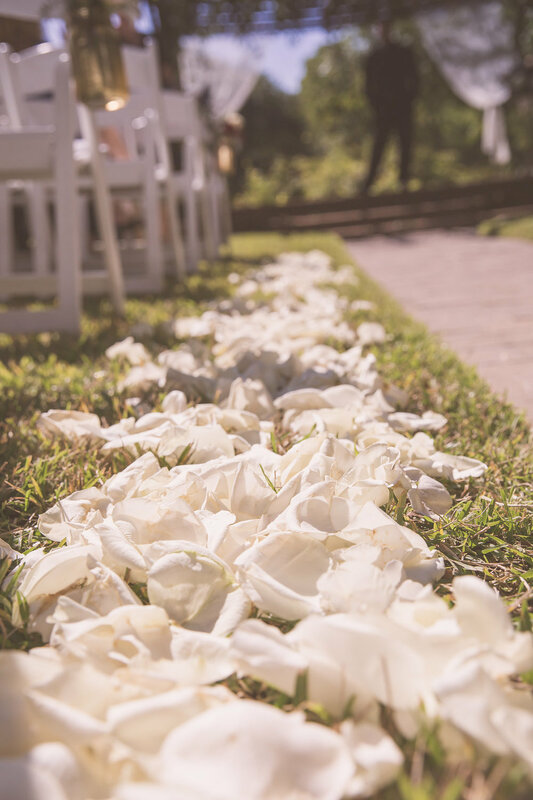 The details of the wedding highlighted elegance and simplicity. They walked down the aisle to live guitar playing, said their I dos, and took time to get pictures together and with the family. 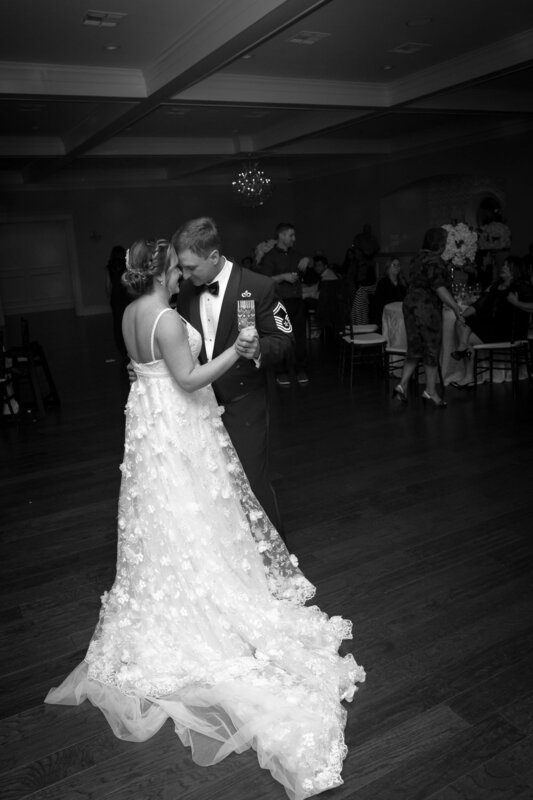 Live music and the DJ attracted the group out on the dance floor, and they shared one of the sweetest first dances. 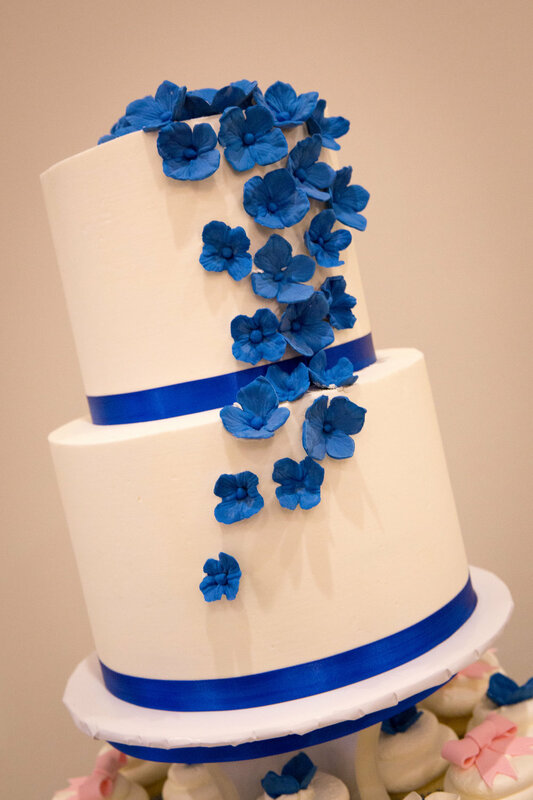 For the wedding cake they decided to add a twist and do a gender reveal for their upcoming little one. 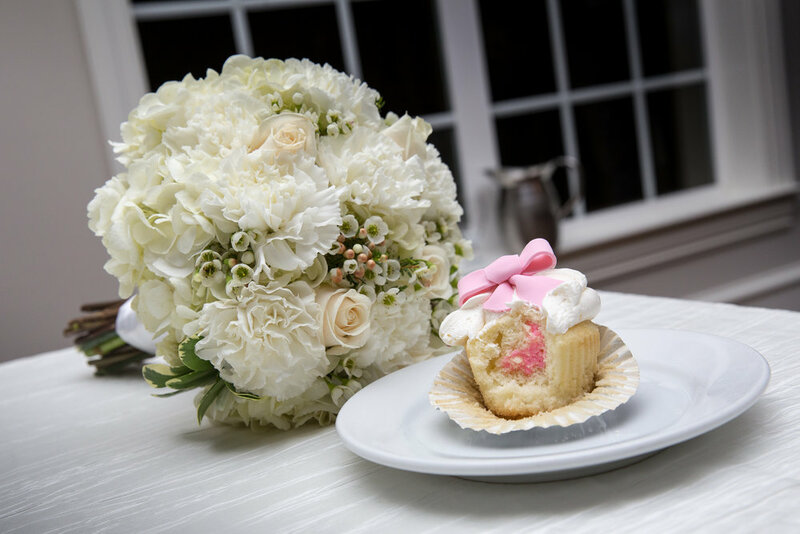 Everyone got to grab a cupcake, and at the same time take a bite to reveal they would be having a little girl! After some more dancing and spending time with family, they completed the night with a sparkler exit. 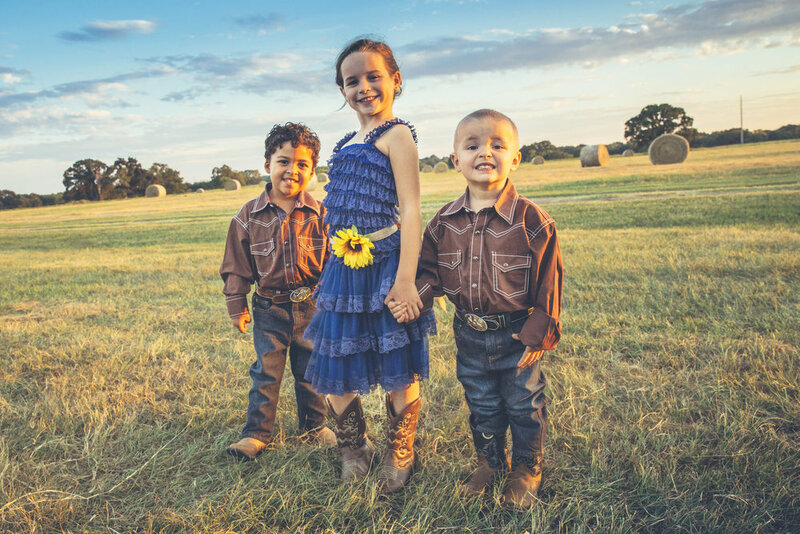 We hope the very best for this sweet family. Brittany & Rory's day was everything we thought it would be and more. 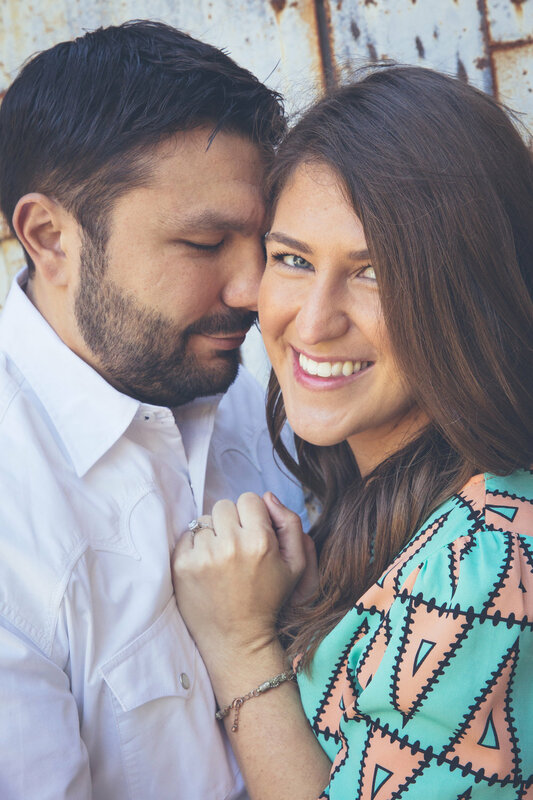 We first got to meet them during their engagement shoot and instantly knew how awesome they were. This is one of those couples that light up a room together, and there is no doubt how much they care for one another. 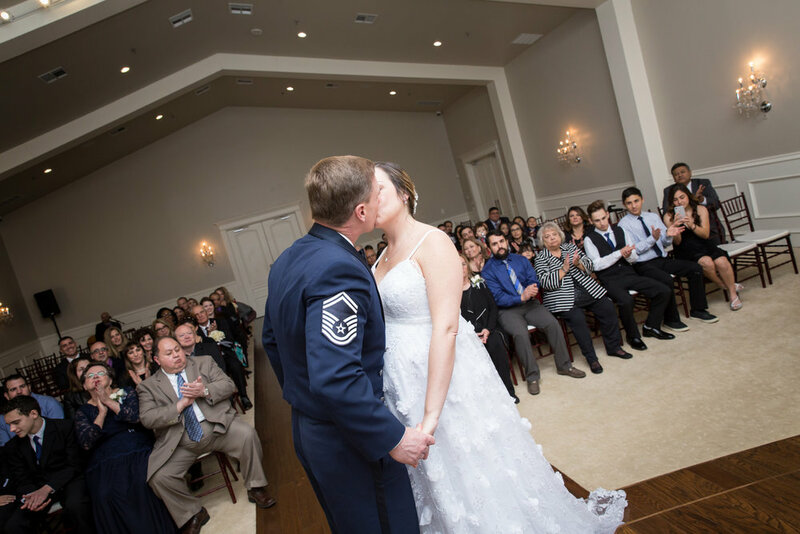 Their wedding day showed every bit of this, as well as how much their family and friends cared for them. It was a full team effort; from Brittany's mom taking point on the food, the both sides of the family helping with set-up and decor, and even Brittany's boss offering his ranch for this event. 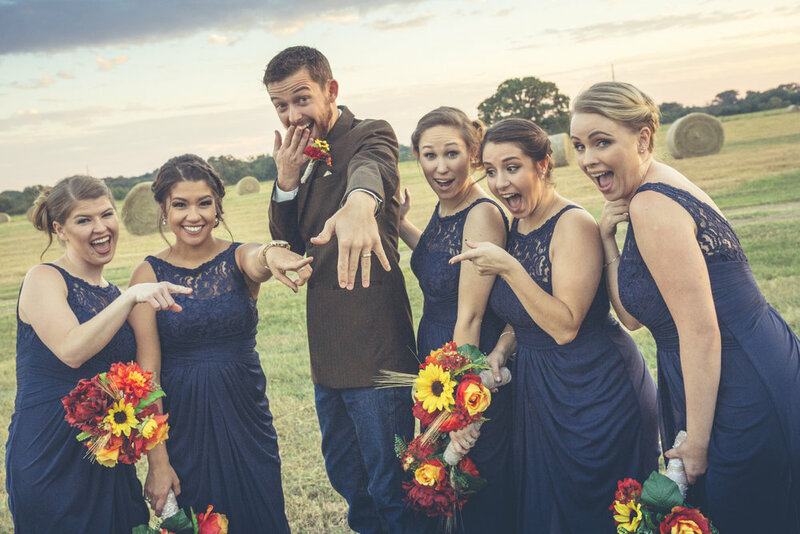 Their ring bearers and flower girl could not have been sweeter, and their wedding party was on point. 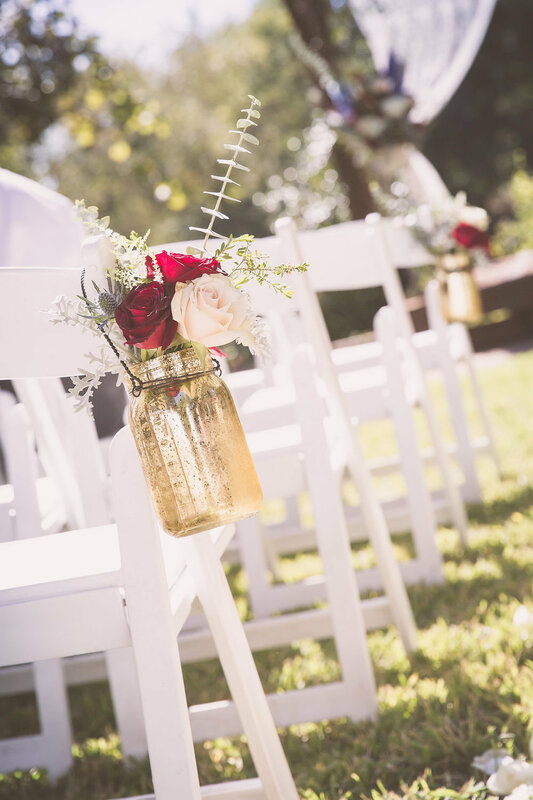 The ceremony took place in the Gazebo on the property pond and the reception was out overlooking the hay fields. The weather was perfect and the sounds of the countryside were unmatched. 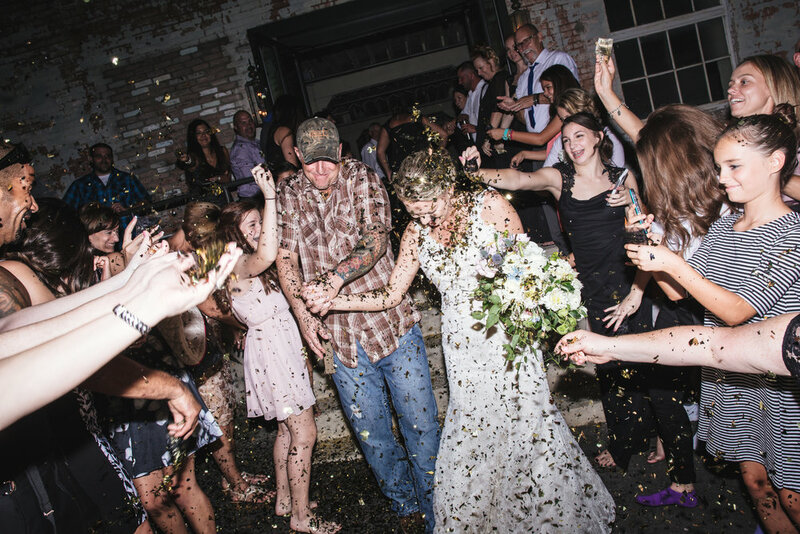 The did their first toast with Shiner and the first dance had everyone laughing. 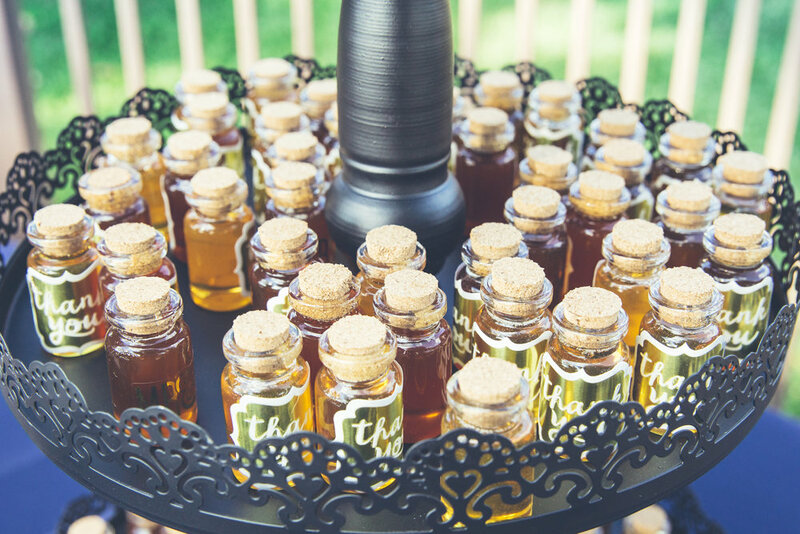 The groom's cake had Rory's favorite Marvel characters and the thank you gifts were mini jars of honey. This was one of those weddings you hate to see come to an end, but left grateful we got to a part of it. Cassie & Anthony were a blast to work with! We dodged some bad weather and had the chance to have a chilly morning shoot in Downtown McKinney. 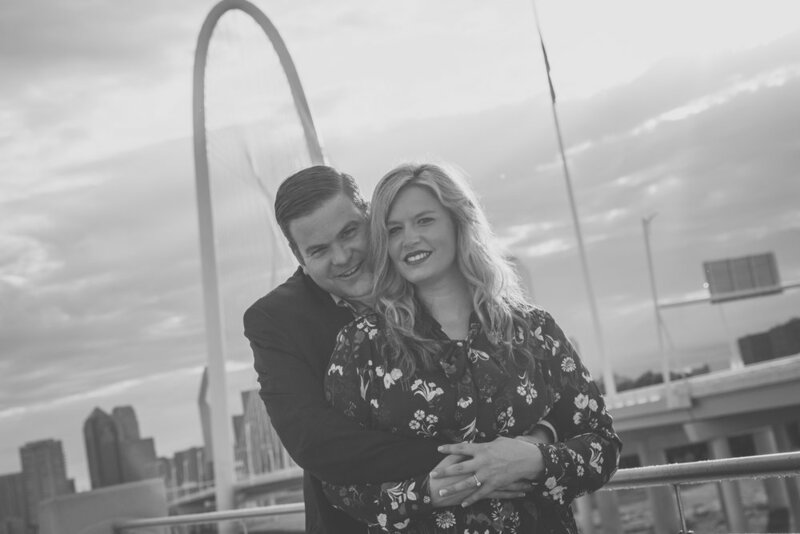 The picked Downtown McKinney since they could get a good variety of pictures that included urban/country style photos. 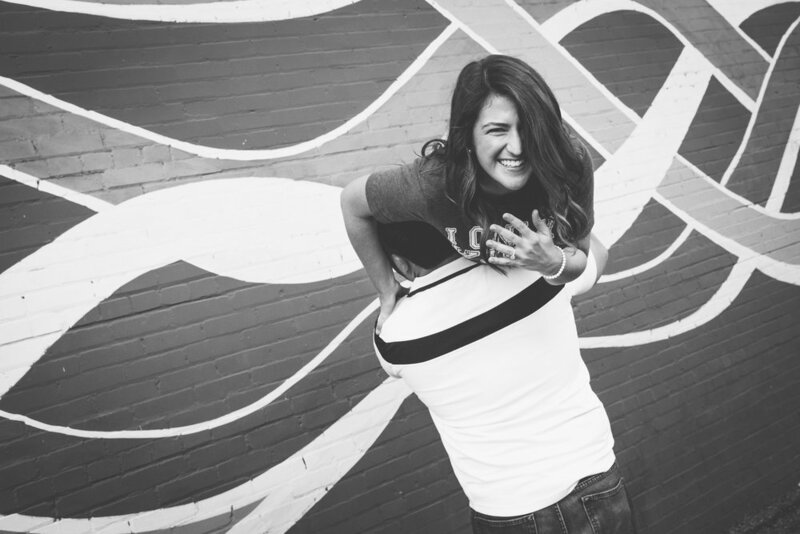 They wanted the typical engagement picture poses and as well as shared with us their Pinterest board. They had some great shots they wanted with their four legged best friend. Having pets on shoots always makes it more fun! We wrapped up the shoot with them in their college gear and called it a day. Thanks so much to this great couple for letting us help tell your story, and hoping you have a perfect wedding in Punta Cana, Dominican Republic later this month. Sarah and Paul were an amazing couple to be around. 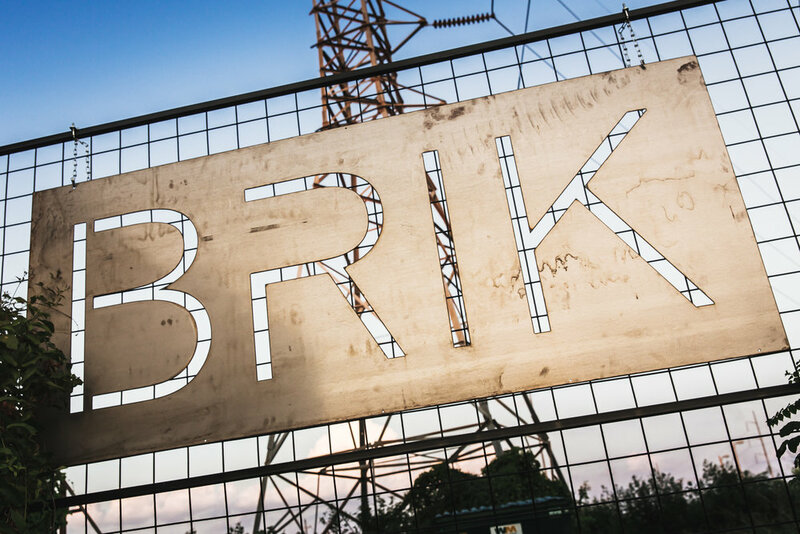 Their wedding took place at Brik in Forth Worth. It is a hidden gem that is relatively new. 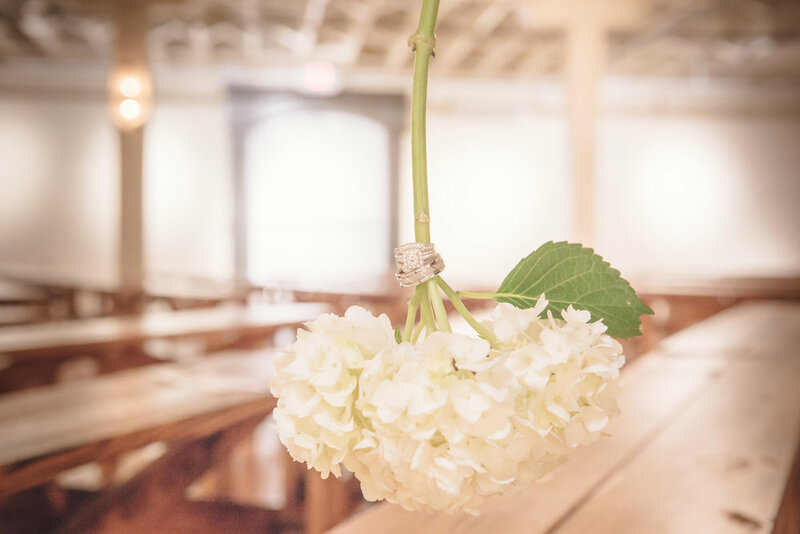 There are so many fun spaces there for photographs, and multiple ways to customize for your event. They decided to have an indoor ceremony and reception, with the ceremony upstairs around sunset. The girls got ready in the upstairs suite, while the boys got ready downstairs. Two of the girls, the groom's daughter and sister, got to be groomsmen and show off their sweet suits. The entire wedding party were out to have fun the minute they walked in. 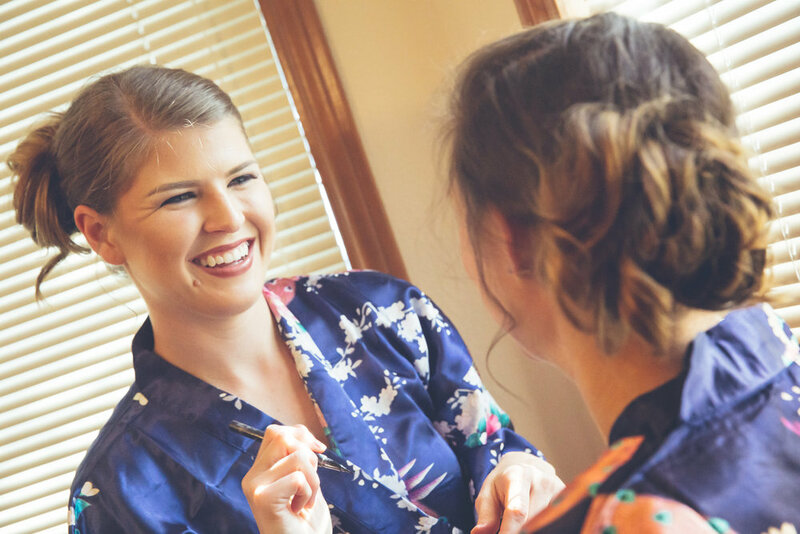 We had the chance to shoot Dana and Taylor's Engagement photos before the wedding, which we always love because it gives us more time to get to know the bride and groom. 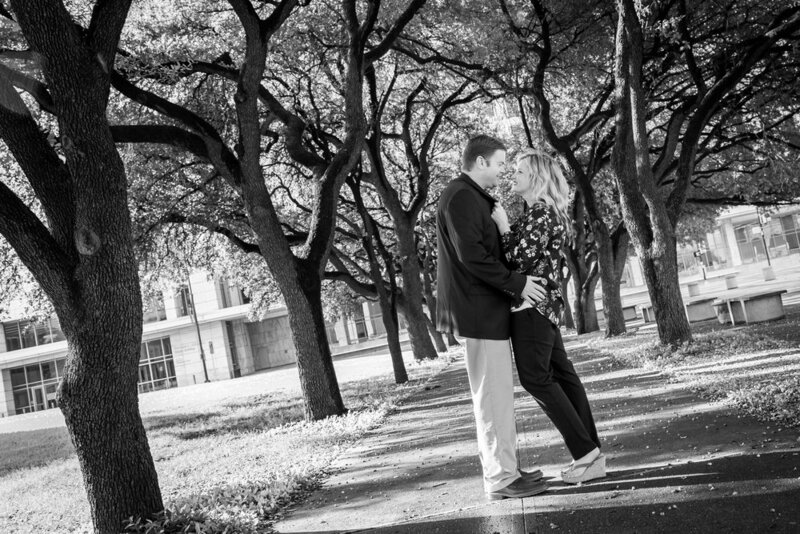 Dana & Taylor went with Dallas Arboretum, West End, and Trinity Groves for the photography locations. We started out at Trinity Groves, it was a little rainy but it ended up working out great. We took advantage of the restaurants and the bridge being empty early in the morning. Our next stop was right around the corner at the West End where we focused many of the shots in front of the shops, around the fountains, and in front of the Old Red Museum. Our final location was at the Dallas Arboretum where you can never go wrong. 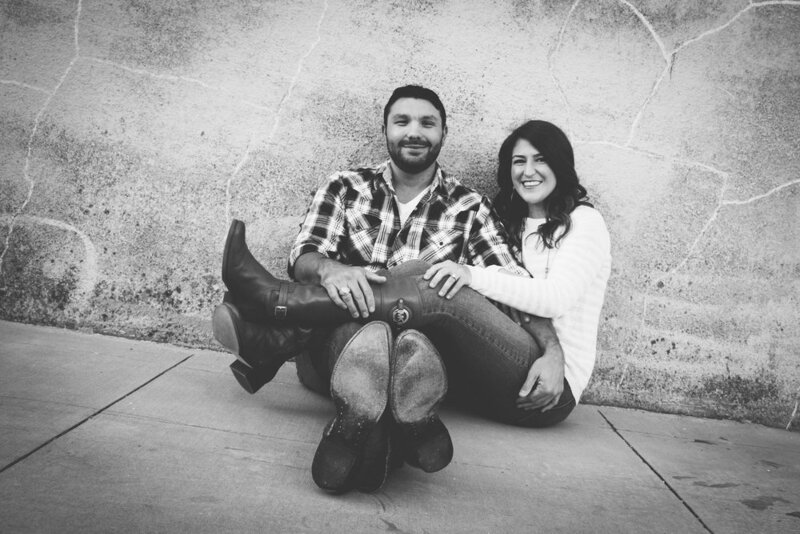 We can't wait to share their wedding pictures with you.